A hundred years ago, during the fall of the Land of the Free to corporate take over--The remaining Native Nations banded together for protection in the heartland of a shattered continent. The leader of this movement was elected First Chief, and so was his son, and then his grandson... Little Wing is the First Chief's great granddaughter, possesses an indomitable spirit, war archery skills to match, and a will to not only see her people survive but thrive. This will is what has led her to VOID. 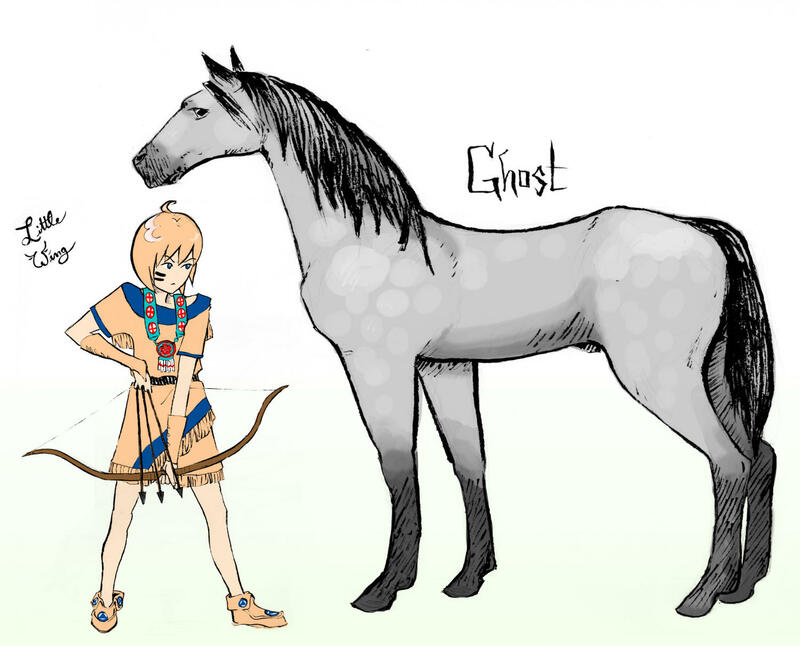 Ghost is her 'distinguished' grey quarter-horse. At least that's how he would describe himself could he speak. Little Wing understands him perfectly.